The retail stores are already bombarding us with back to school sales. Hard to believe, but true! 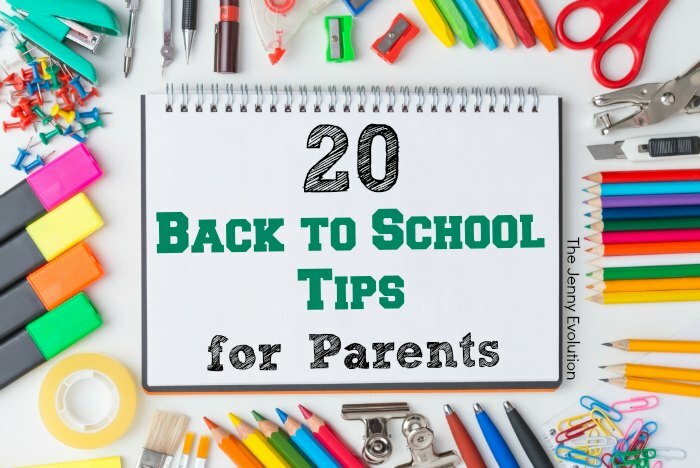 As you’re trying to get your head around summer ending, try out these back to school tips to get you mentally ready for the new school year. 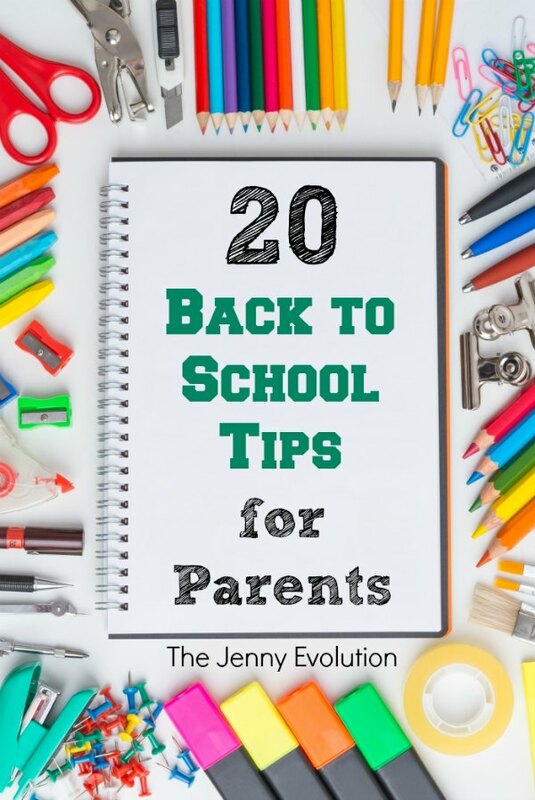 Get more back to school ideas here and be ready to take on the new school year like a boss! This post contains affiliate links. Take the time to do a classroom visit before school starts and meet with the teacher if possible. Help your child find his or her locker and walk thru what a daily room change will be for your child. Add some fun by getting some of these locker decorations. Get your children into a school sleep schedule at least 2 weeks before school. Establish (or re-establish) a routine for bathing, breakfast, lunch etc. Kids aren’t the only one who need to get back into a routine. Get yourself back into the school routine state of mind. Find a designated place in the home for school items. Realize your child being nervous about school is normal. There are a number of back to school books you can read to young children in preparation for school. Stay in a positive perspective about school, encouraging your child. Remind children they will get to see their friends again, even if they are not in the same classroom. Realize that changes in school districts can also create a big adjustment for kids. Help your child find the right bus since route (pick up, drop off may change with a new year). Let the teacher and school officials know if your child has any special needs (getting medication to the nurse, check –ins with the guidance counselor). Notify the teacher if any major life changes such as divorce or a death in the family has occurred during the summer. A few stomachaches or headaches may be normal the first week. But if this continues it may be best to check with a professional to find the source of the problem. It could be anxiety or a medical condition. You can build bridges to communication with their child’s teacher through phone calls or email. Email is a quick way to give an update regarding any issue. The sooner you start prepping for the school year the better. If you drive your child to school, utilize that time as a positive, relationship building time with your child. Develop a central calendar to keep track of all school related activities, late starts, early closings and any change in events or school events. Start a fun yearly new school tradition; for example, a special breakfast for the first day, a yearly photo or bring a surprise to their new teacher. Keep it fun! 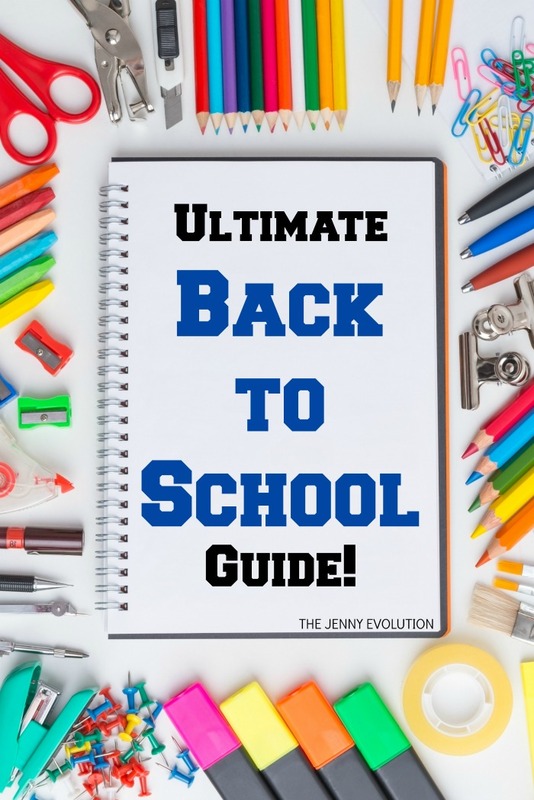 For more great back to school tips, visit our Ultimate Back to School Guide! These are awesome, Jennifer! Totally agree about implementing the back to school routine at least two weeks before school starts. Yes! That routine is tough for ALL of us… the better you get into the routine, the better the transition back will be. And oh my goodness I’m ready for my boys to get back in school! Definitely agree you need to get back into that sleep routine well before school starts! And having a routine to get ready in the morning. Without a routine, we’re all toast! We go back next week. I’m making a morning routine checklist right now! So smart… I know I start my kids back into their routine about two weeks out…. saves us a lot of headaches. Them first two are always the first on my list too. Those two help me figure out how my child will grow in the class. Our school thankfully has a designated day where we can let our kids in to find their classrooms, lockers and help them get set up at their desks. It makes a world of difference. Great tips! Thank you for linking up at the Simply Sundays link party! I think I want to get a Minions calendar set up to help J not only with preschool and activity organization, but to help him continue learning about months/weeks/days. Thank you for sharing your tips with us at Merry Monday! Aggh we really need to get back into the routine – we’ve had lots of lazy mornings this summer – the new school year is going to hit us like a tonne of bricks if we don’t get back into it! It’s true… we’re working on getting back into the routine or we’re in for a serious shock!